When its 10 PM and I am a full-days-work-and-kids, two glasses of wine, one bag of trail mix, and one car-fully-packed-for-the-ski-trip into the evening I find that now is when I can finally start thinking about what I might be able to squeeze in for a workout today. Not the ideal, certainly, but the for real. Luckily, for times just like this, I have recently downloaded the nifty little Scientific 7 Minute Workout app. 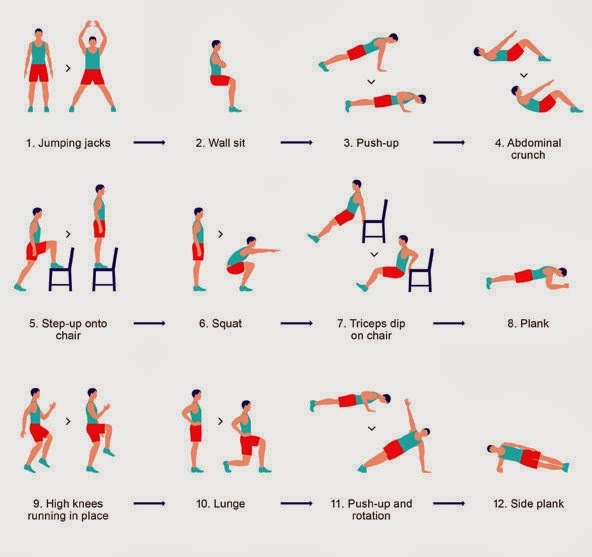 Three rounds through 12 exercises (30 seconds on / 7 seconds off) and I feel a little sweaty, full-body-worked, and energized enough to want to sit down and write this post. Do this 7 minute HIIT workout at least once a day for 7 days (7x7). Heck, ANYBODY can work out seven (7) minutes per day - no special equipment or clothing required, and numerous health benefits to be realized. But do you have the discipline to do it for seven (7) days in a row? What will this dedication and persistence teach you about yourself? What will completing this challenge successfully empower you to accomplish next? Bibliography - Paul, B. 2018. “Vitamin K2 MK7 Testosterone: Benefits, Dosage & Side Effects Guide.” Testosteroneofficial.Com Ie. Testosterone Official. October 1. https://testosteroneofficial.com/research/vitamin-k2-mk7/.